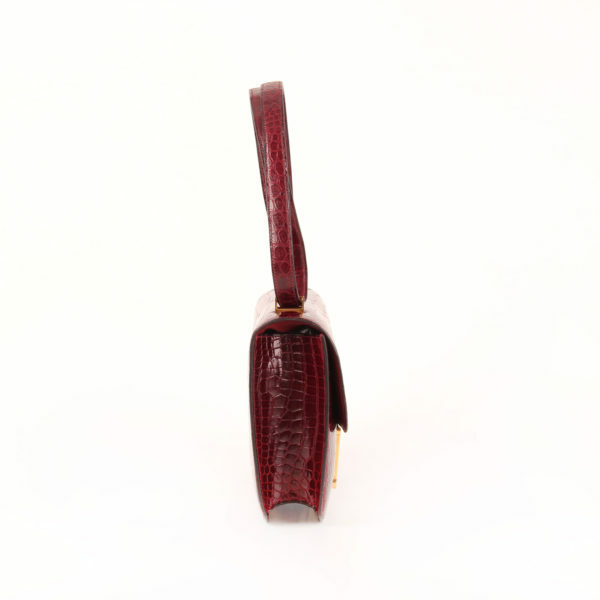 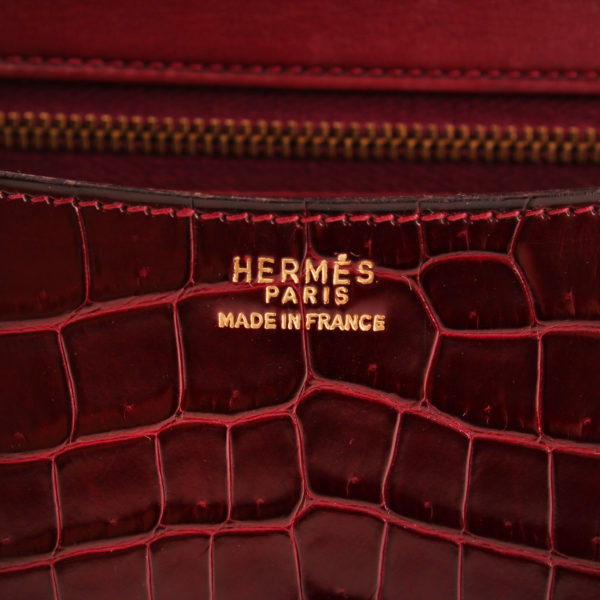 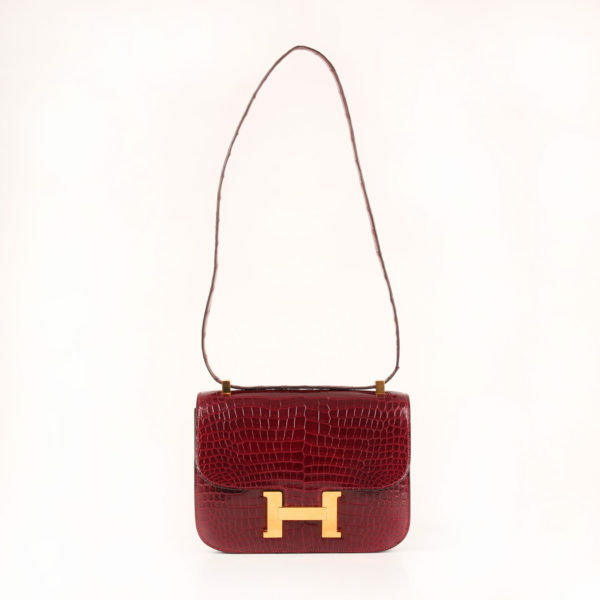 Hermès Constance in Porosus crocodile leather Dark Raspberry. 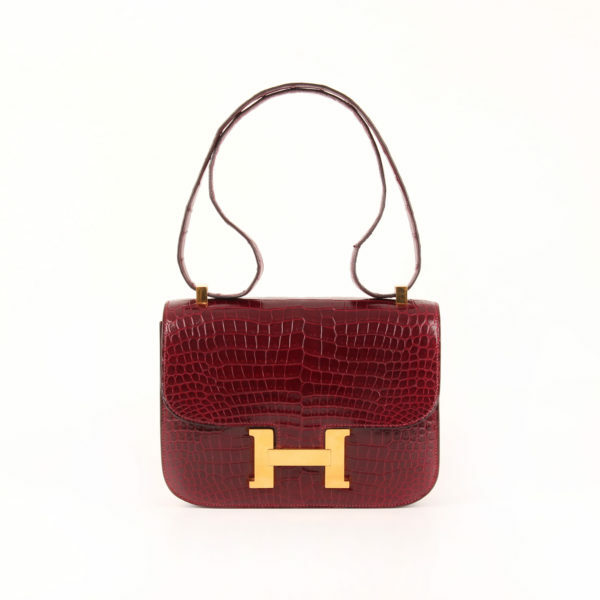 A piece from 1976 amazingly well preserved. A vintage jewel. This authentic Hermès Constance MM 23 in Porosus Crocodile leather and dark raspberry color has gold hardware and introduces itself in a magnificente condition. 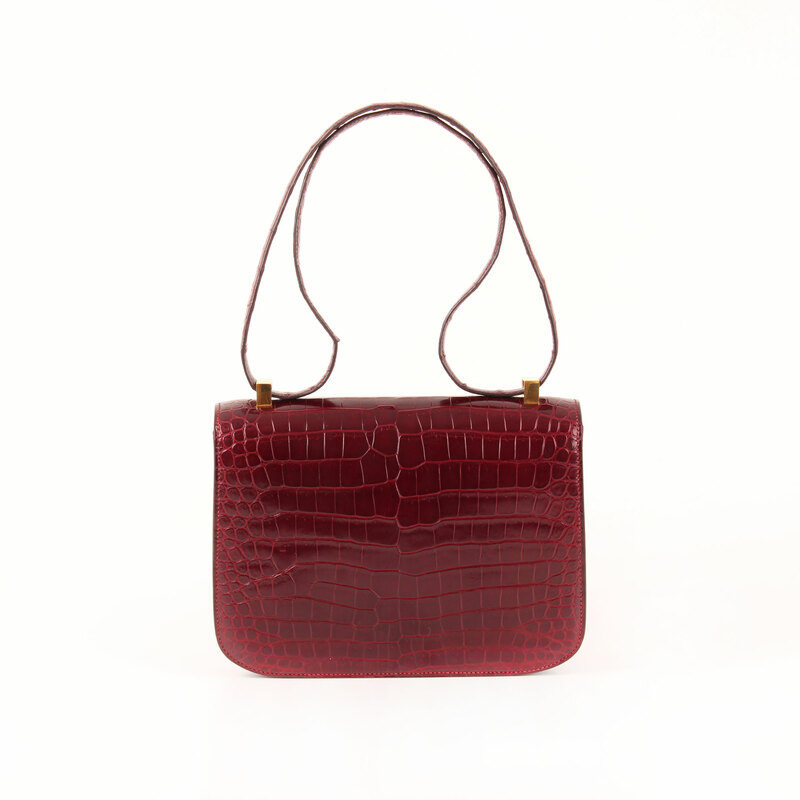 It dates back to 1976 and it is a pretty special model due to its skin’s exotic nature. 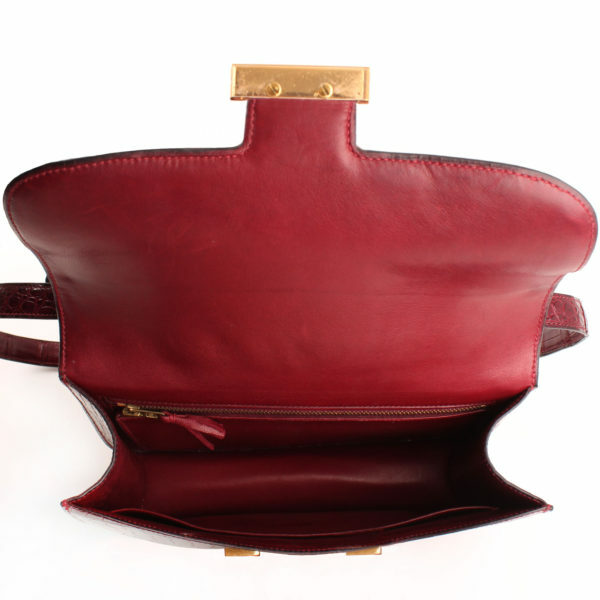 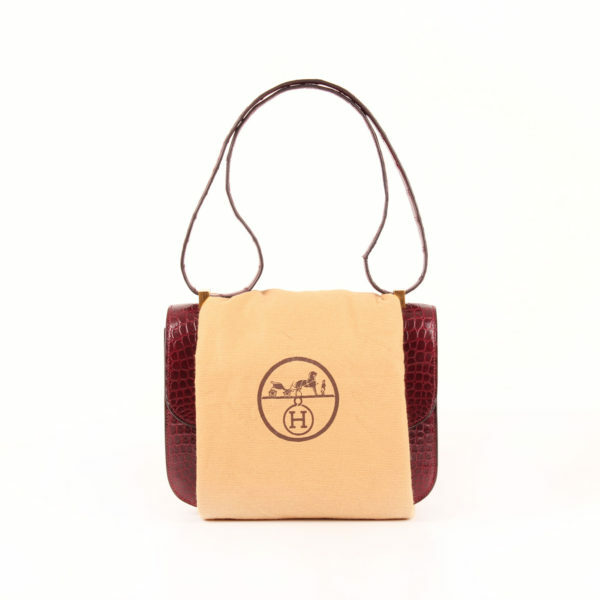 The handbag is conceived in simple lines reminding of an equestrian bag. It can be carried cross body or on shoulder thanks to the adjustable strap. This model is well known because of its H clasp which fastens the flap in the frontal down part. 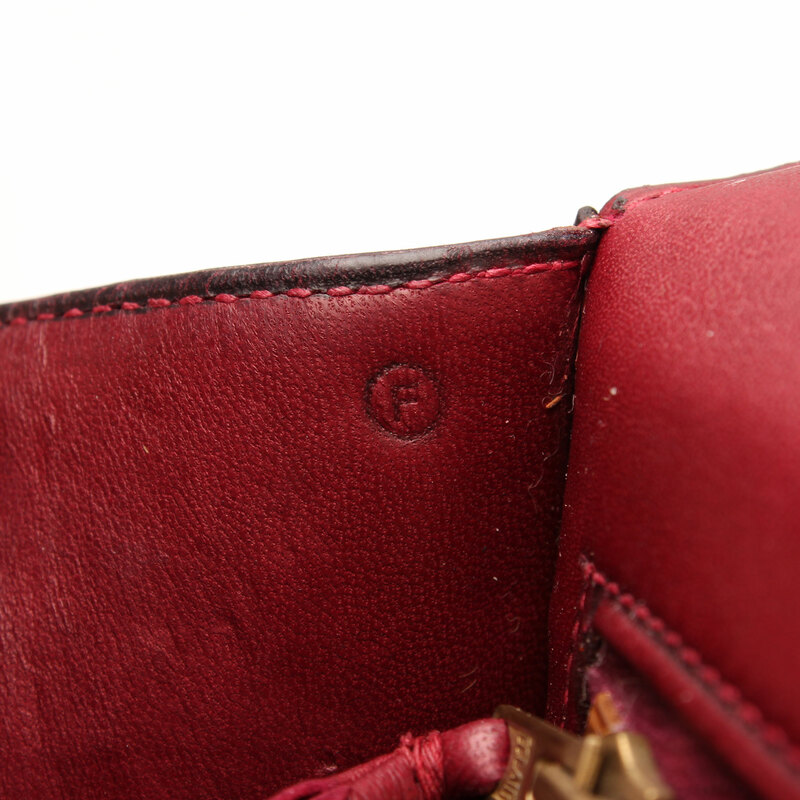 Lining presents a zipper close pocket. 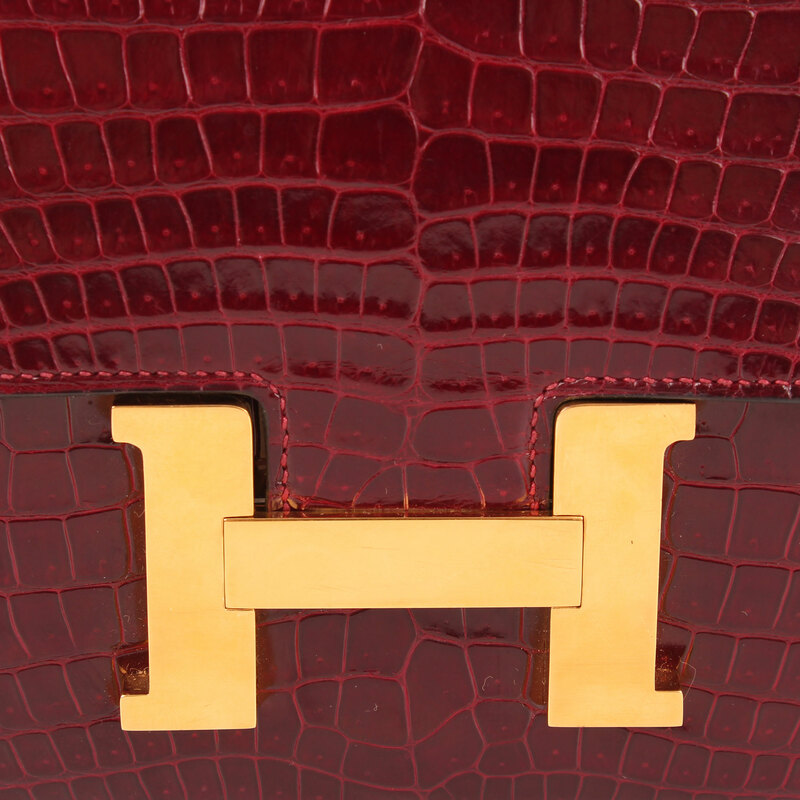 Porosus crocodile skin is considered one of the most exquisite skins in Hermès because of the sheen, smoothness, and symmetrical pattern it shows which confers this incredible glaze effect. Details: Strap presents some cracking in leather. 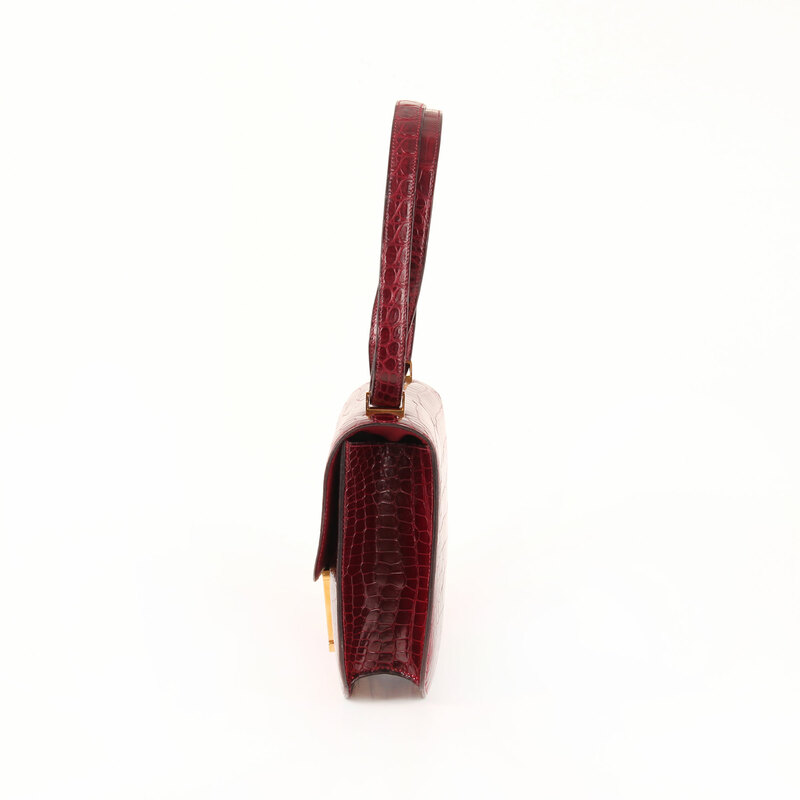 Perfect maintenance of sheen and shape.